My name is Dr. Daniel….Birmingham, AL Dentist-thanks for coming to this website. Do you have jaw pain? Do you get frequent headaches? If so, you could have TMJ. 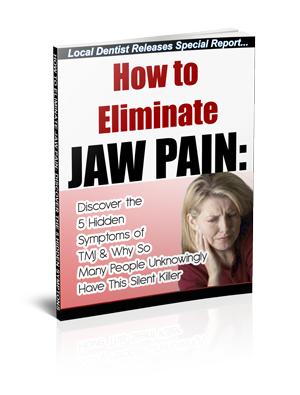 In this free report, Dr. Daniel reveals exactly what TMJ is, and what you must know about TMJ. plus you’ll get immediate steps you can take to eliminate it if you have any of the symptoms. You don’t have to live with discomfort anymore!! Complete the form below to learn more!